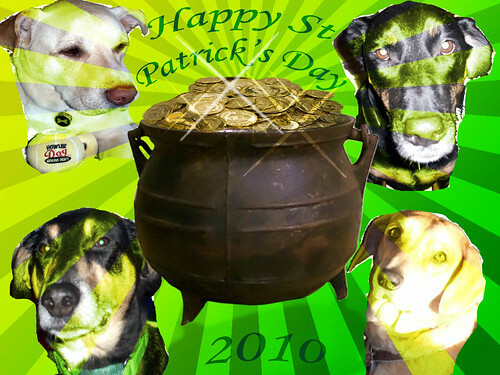 Lapdog Creations: Happy St Patty's Day! Cute! Happy St Paddy's Day to you! Hope all the pack enjoys the corned beef, but hold the cabbage for them! Happy St. Patty's Day to y'all, too!